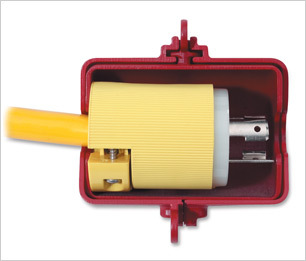 Sometimes it is necessary to prevent machinery from being used by disconecting and locking out the plug. 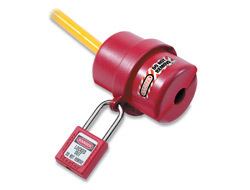 These Plug Lockouts are made from the same Xenoy alloy as the padlocks, making them highly resistant to both extremes of temperature (-46c to 177c). Please note the padlock in the photo is not included. 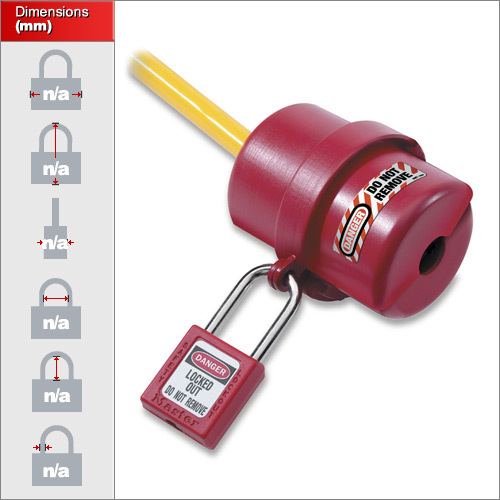 It will accept any padlock with a shackle diameter of up to 6mm. 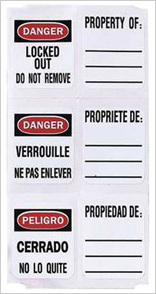 Each one is complete with high-vis, multi-lingual warning labels with an area for custom marking , instruction or identification. Non permanent whiteboard markers can be erased and re-used after the job is complete if necessary. 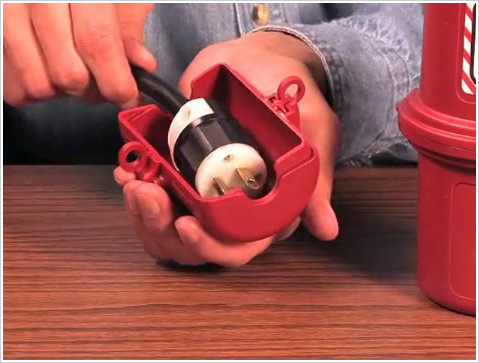 There are two sizes of Plug Locksouts to cover all types of electrical plug. Large for sockets of 240 volts and up. Small for 110-240v sizes.